Border Ditch is one of the smaller tributaries of the Quaggy – it rises in playing fields on the edge of the Downham estate, very close to a natural boundary – the watershed that marks the divide between the Quaggy and Ravensbourne catchments. Its name comes from a different boundary though – for some of its recent life it was a small part of the border between Lee, then Lewisham, and Bromley. In addition, it would mark the limit of London until 1965 when Bromley was prised out of Kent and brought into the metropolis (although the distinctions had become a little blurred from the 1840s as the Bromley was included in the area covered by the Metropolitan Police). 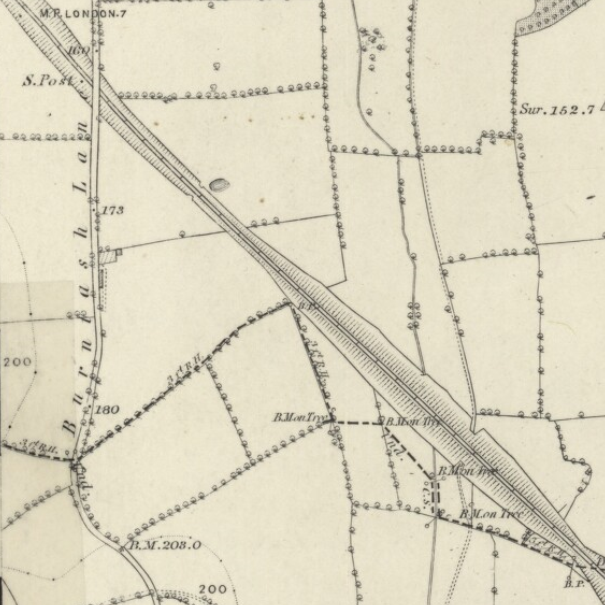 While the contour lines on the map for the early part of the Ditch are clear, they would suggest a route from around the middle of the playing field then following a line slightly to the south of Welbeck Avenue to Burnt Ash Lane. However, the boundary which predated development, and the playing fields, is slightly to the north of this, suggesting that the course may have been adjusted when the land was farmed. There was no access to the school playing fields, so any further investigation proved impossible. The current course seems to follow a now overgrown access road to garages and then a very clear dip in Burnt Ash Lane. 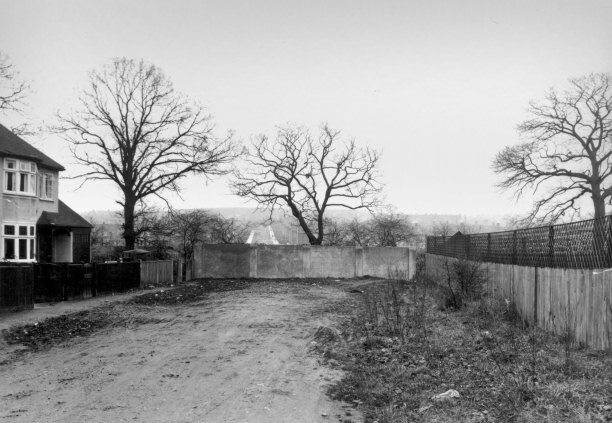 There used to be a small bridge at this point which was captured on film around the time of the First World War, before the advance of suburbia and the Downham estate in the 1920s (source Lewisham Archives on a Creative Commons). 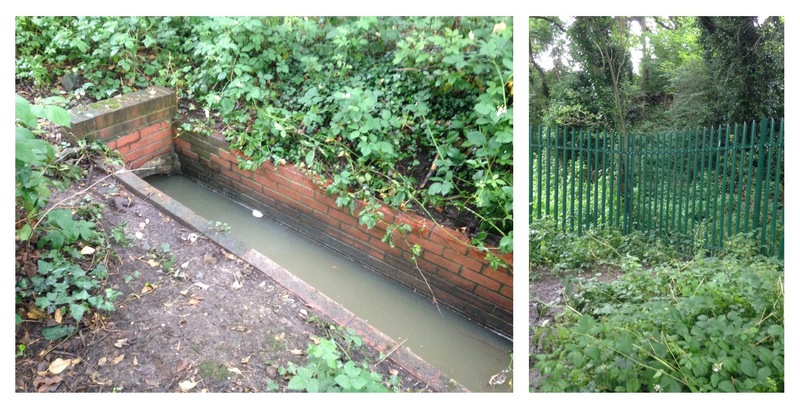 The stream is no longer visible (or even audible) at this point but there is a clear valley as it squeezes between the gardens of Ridgeway Close on the Bromley side and Wydeville Manor Road on the Lewisham side. There are tracks down to garages at the rear on the Bromley side, but as ‘danger reared its ugly head’ – with a dog starting to bark as I attempted to investigate – the urban explorer ‘turned and fled’ in the manner of Brave Sir Robin. Fortunately, there was a dog-free access point on the Lewisham side and squeezing between some broken railings a view of the newly emergent Border Ditch was possible. There is a noticeable valley although during a relatively dry early autumn relatively little water. From this point, it is likely that the Ditch continued downhill until it met the Quaggy; it isn’t possible to be certain though as the imposing railway embankment obliterated contour lines past. Railway engineers appear to have taken the Ditch on a slightly more circuitous journey in creating a new confluence with the Quaggy. The course they chose for it would have seen the Ditch empty into the Quaggy close to the bridge in the southern part of Chinbrook Meadows – source Creative Commons. 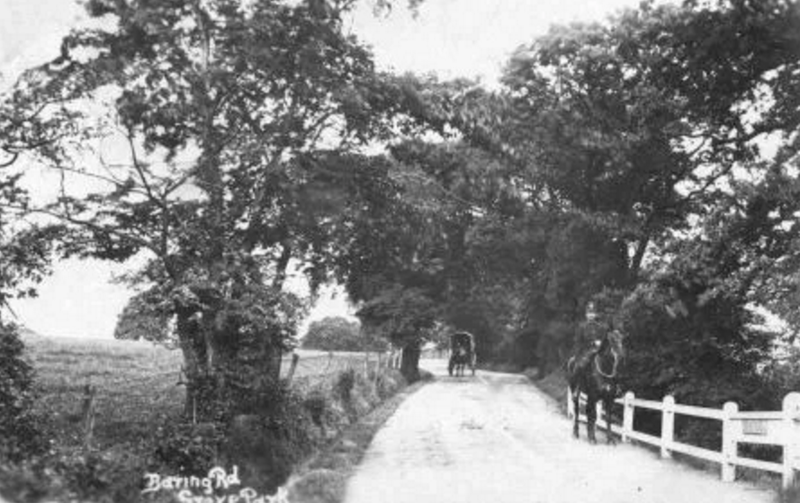 While the line to Bromley North was later added, the course doesn’t seem to have altered – source Creative Commons, National Library of Scotland. The stream seems to have been slightly moved north east at a later date to hug the edge of the embankment and emptying into the Quaggy just after the latter enters the tunnel under the main line. The re-emergence into the open is a rather desultory one, exiting from its concrete casing into what was more reminiscent of a drain than a stream. There was little sign of movement in the ominous looking muddy water. It wasn’t even easy to see, hidden behind stout metal Network Rail fencing preventing any ne’er do wells having access to the embankment from the south westerly part of Chinbrook Meadows. The emergent Ditch trickles slightly downhill for almost a hundred metres towards its final destination – its confluence with the Quaggy. The coming together of the flows is rather lacking in distinction too, there is a twist to force the Ditch down and almost back upon itself to meet the Quaggy with the all the force of a tap with low water pressure. 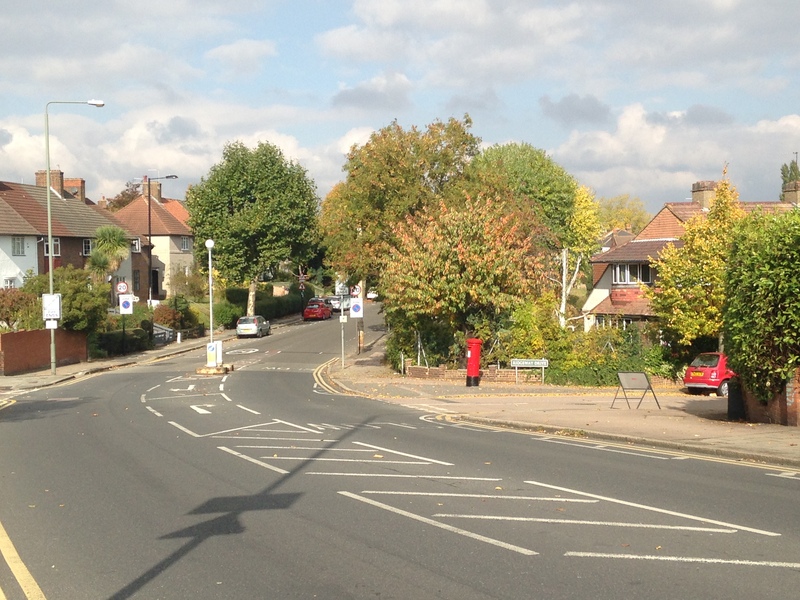 My failed attempts to photograph the junction were even less impressive than the reality. The good news is that there are plans afoot to try to make the last few metres of the ‘Ditch’ slightly more alluring, while the aesthetics will be improved considerably, the real reason is to install a sustainable drainage system (SuDS) which would enable water to run through a series of pools planted with native marshland plants that will naturally filter the water reducing the potential pollution impact of the ‘Ditch.’ I am no expert on gauging water quality by sight, but it didn’t look good. 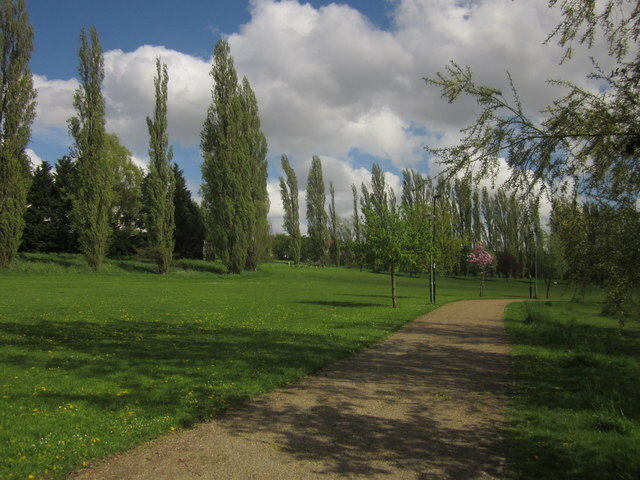 While Border Ditch isn’t currently worth much of a trek, Chinbrook Meadows is a different matter, it is a lovely park – one of my Lewisham favourites. It was the site of a small dairy farm, Chinbrook Farm – the park first opening in 1929 and being considerably extended eight years later. The Quaggy was channelised early in the ‘Meadow’s’ existence and, from memory, large fences and hedges partially hid the river (they still do on its exit). The river was freed into a more natural gently meandering course with more natural planting and access after works that were completed in 2002. 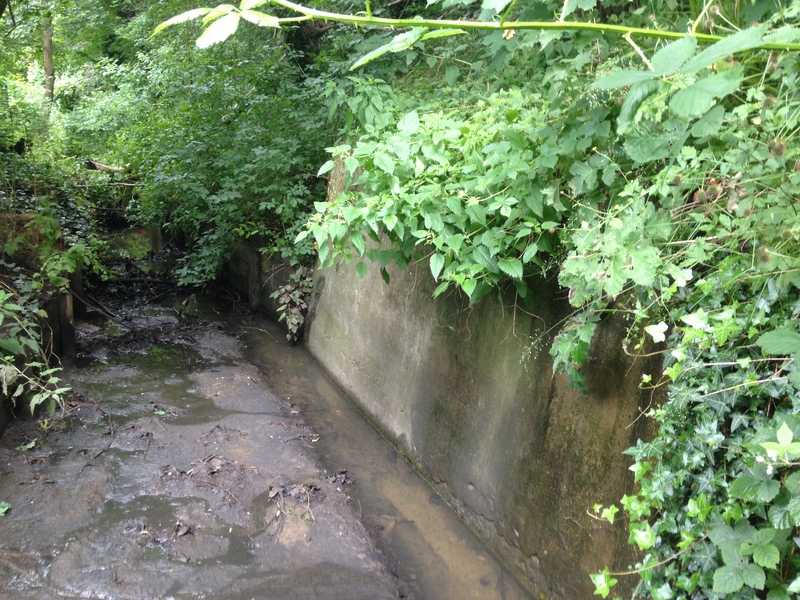 If you recognise some of the latter photos and text, that would not be surprising, I have previously attributed them to a different stream – one I referred to as Grove Park Ditch (West). Border Ditch is referred to as that, without the locational suffix, by the Environment Agency. However, having spent an age following flows and contours on old OS Maps I am now pretty certain that the outflow is that of Border Ditch, I am in pretty good company here – my view is shared by the sadly departed fellow fluvial flâneur, Ken White. 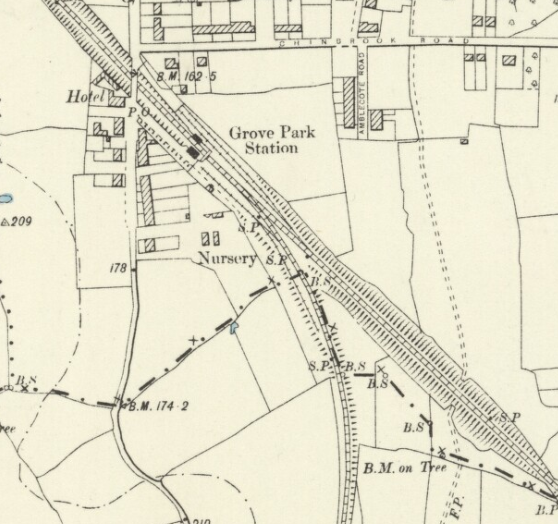 Back to the Border Ditch, it is no longer the border for much its last few metres, the Local Government Boundary Commission agreed to requests from both Bromley and Lewisham to shift the boundary to the far side of the railway in 1991. The dashed line is the ‘new’ boundary; the non-dashed one the pre-1991 boundary. So it seems that the watershed is probably the only definitely fixed boundary – boroughs and counties are man-made constructs and as we have seen even streams change course, in this case diverted at least. 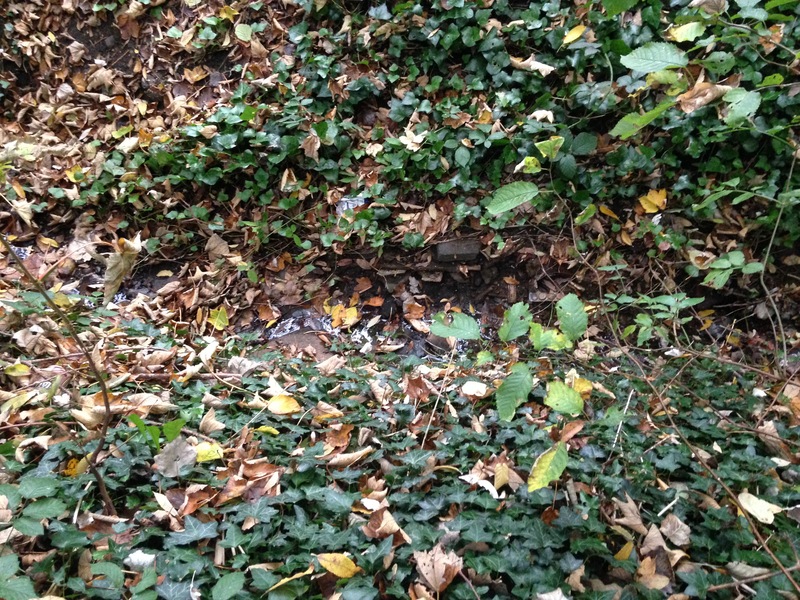 This entry was posted in Bromley History, Lewisham History, Rivers and tagged Border Ditch, Grove Park, Grove Park Ditch, Quaggy on November 17, 2016 by Paul B. A really fascinating and informative guide which make great reading. I am impressed with the application of expertise, time and talent in researching this subject. Long may you continue in your endeavours. Thank you! This one took a bit longer than some of the other Quaggy tributary posts – mainly because the drainage got confused post railways and housing development. I can see you’ve been getting around, Paul. Your jaunts are incredibly detailed, not merely the history but your insights, and I like the way you marry the pictures you take with historical photos, and the maps. I sense a reader could visit your turf and find their way around well. Thanks Jim, hope you are well. I am fascinated by ‘lost’ parts of the landscape and how they influence the present city and suburbs which links well with old maps and postcards and running.